We take great pride in being able to offer quality products and services to our members. 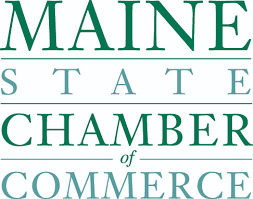 The Maine Human Resources Manual is an outstanding product, and it will go a long way in helping Maine businesses operate more efficiently and avoid costly mistakes. I am a HUGE fan of HRsimple! It is so easy to navigate and find the answer to my questions in the matter of a couple of clicks. I wear multiple hats for my employer and being responsible for Human Resources, Safety and Accounting I prefer to spend my time answering questions, not looking for them. HRsimple makes my job easier; therefore, I love it, love it, love it!!! I love HRSimple because it keeps me up-to-date with changes in federal and state regulations and does it with a little humor. Not an easy task when you’re talking about regulations. Thank you for making me laugh. The weekly emails are fun and informative. Generally speaking, there’s a little nugget of information that I take away after reading the newsletter. The attached articles and videos are great when you need more in depth information on a certain topic. I look forward to seeing them every week! Keep up the great work!